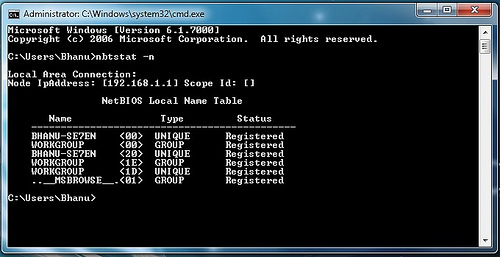 The above is an example for operation using command prompt.”net view” is one of the netbios command to view the shared resources of the remote computer.Here “59.43.45.212? is an IP address of remote computer that is to be hacked through Netbios.You have to substitute a vlaid IP address in it’s place.If succeeded a list of HARD-DISK DRIVES & PRINTERS are shown.If not an error message is displayed. So repeat the procedure 2 with a different IP address. F:,”SharedDocs” are the names of remote computer’s hard-disk’s drives that you want to hack. 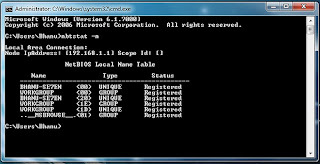 “Myprint” is the name of remote computer’s printer.These are displayed after giving “net use” command. “59.43.45.212? is the IP address of remote computer that you want to hack. Now open “My Computer” you will see a new “Hard-Disk drive”(Shared) with the specified name.You can open it and access remote computer’s Hard-Drive.You can copy files,music,folders etc. from victim’s hard-drive.You can delete/modify data on victim’s hard-drive only if WRITE-ACCESS is enabled on victim’s system.You can access filesfolders quickly through “Command Prompt”. Hello ! I tried this on my friend's PC.. The net view command works fine.. But when I use net use, it displays an error. Perhaps, I'm doing something wrong..Can you help me out? And uhh.. And how to make my Java Drive By FUD?